Your message strategy is the foundation for all of your marketing efforts, a way of relaying the value you bring to your customers and to society. Your message can motivate, even inspire, most important, it must quickly and succinctly describe what you do and why anyone should care. This work begins the strategic process, creating a foundation of skills upon which you build your business identity. Most organizations have a mission or vision statement. While these are certainly important, especially internally, they are not the kind of message we are discussing here. With over 25 years experience as a news director, videographer and reporter, I know the strategies that get news media attention. I’ll share my experience and teach you how to leverage your own expertise to achieve the best possible outcomes, whether that’s huge promotion or a powerful defense. 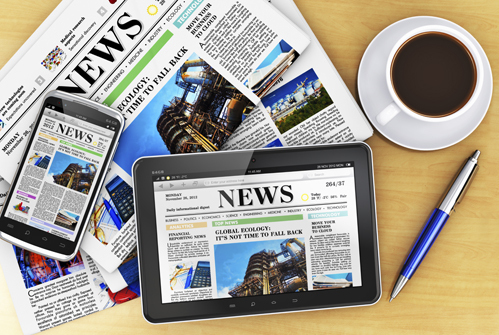 We work with your team to develop powerful messages that meet your defined business goals and most importantly, gaining the attention of the news media. Our efforts aim to enhance your marketing message, build community goodwill and perhaps most important, getting in front of and protecting your business interests. How clear your message is. How disciplined you are at communicating that message. How prepared you are for the unexpected. We will build the confidence of your team to deliver the message in a focused, authentic and passionate way. Earned media is, quite simply, news media coverage that you “earn” based upon the quality of your pitch and the depth of your expertise. Obviously, news media coverage is an incredible opportunity to get yourself and your business promoted. Yes, it can be intimidating but the pay-off to doing it well is unmatched by any other marketing strategy. There are very specific ways you can leverage your own expertise and your personal style in order to achieve the best outcome possible, whether that’s great promotion or a powerful defense. We will examine and practice these methods.